Broadway In Chicago and Producers Flody Suarez and Jeffrey Seller announced complete casting for the Pre-Broadway Premiere of the new musical The Cher Show at Broadway In Chicago's Oriental Theatre. The full company will also feature Marija Abney, Carleigh Bettiol, Taurean Everett, Michael Fatica, Ashley Blair Fitzgerald, Michael Graceffa, Blaine Alden Krauss, Sam Lips, Allie Meixner, Tiana Okoye, Amy Quanbeck, Angel Reda, Dee Roscioli, Michael Tacconi, Tory Trowbridge, Christopher Vo, Alena Watters, Charlie Williams and Ryan Worsing. The Cher Show will begin previews on June 12, 2018 at Broadway In Chicago's Oriental Theatre (24 W. Randolph) and will play a strictly limited engagement through July 15, 2018. 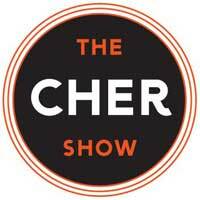 Following its Chicago engagement, The Cher Show will begin previews on Thursday, November 1, 2018 at Broadway's Neil Simon Theatre (250 West 52nd Street), and will open on Monday, December 3, 2018. Additional details and on-sale information for Broadway will be announced at a later date. Rounding out the creative team are nine-time Emmy Award winning costume designer Bob Mackie, Tony Award-winning set designer Christine Jones (Harry Potter and the Cursed Child, American Idiot), set designer Brett J. Banakis, Tony Award-winning lighting designer Kevin Adams (Hedwig and the Angry Inch, American Idiot) and sound designer Nevin Steinberg (Hamilton, Dear Evan Hansen).